Editors’ Note: The Feminists We Love video interview with Linda Janet Holmes is at the end of the introductory text (scroll down). I firmly believe that my friendship/camaraderie with Linda Janet Holmes is one of many lasting gifts that Toni Cade Bambara gave both of us when she transcended on December 9, 1995. I first met Linda at Louis Massiah’s home a few days after Toni’s passing in December 1995. A small group of us (Toni’s daughter Karma, Louis, Linda, Jane Poindexter, Arlene Wooley, Sonia Sanchez, Marlene Patterson, Nadine Patterson, Sandra Swans, Tina Morton, and I) gathered to begin planning the first of several programs in the United States that celebrated Toni’s Life. The first one was held on December 17, 1995 at the Painted Bride Art Center in Philadelphia. A generation apart from each other, Linda and I first met Toni during different time periods in Toni’s life. Despite this, we are a part of a diverse chorus that share similar stories about Toni’s steadfast guidance in our lives. Over the past nineteen years, I’ve had the privilege to witness Linda’s unshakable commitment to document Toni’s life and living legacy. Prior to her retirement a couple of years ago, Linda did a huge part of her Bambara legacy work while working a full time job as the director of New Jersey’s Office of Minority and Multicultural Health. Linda is a writer, independent scholar, curator and women’s health activist. 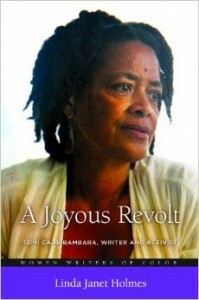 Her recently published book, A Joyous Revolt: Toni Cade Bambara, Writer and Activist, (Praeger Press, 2014), is the first biography on the groundbreaking writer who transformed social movements. Holmes also is co-editor, with Cheryl A. 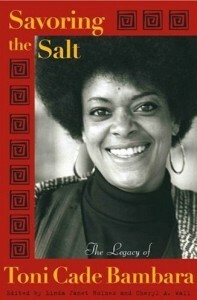 Wall of Savoring the Salt: The Legacy of Toni Cade Bambara, (Temple University Press, 2008). Decades ago, Linda’s first short story, “The True Story of Chicken Licken,” appeared in Bambara’s Tales and Stories for Black Folks, (Doubleday, 1971). 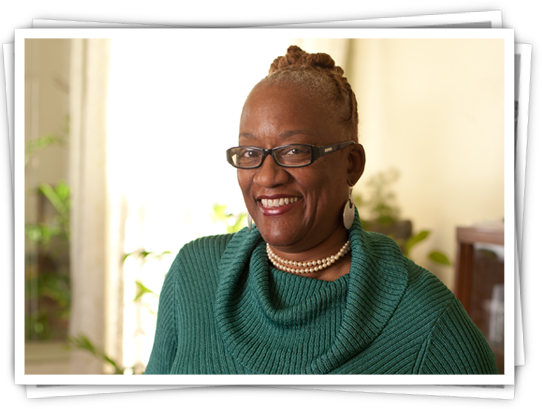 As an activist and writer, Linda continues to be pivotal in increasing recognition of traditional African American midwifery practices. 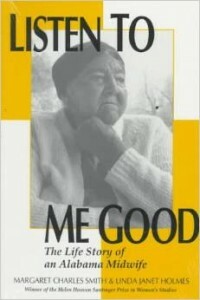 Holmes co-authored, with Margaret Charles Smith, the book Listen To Me Good: The Life Story of an Alabama Midwife, (Ohio State University Press, l996). 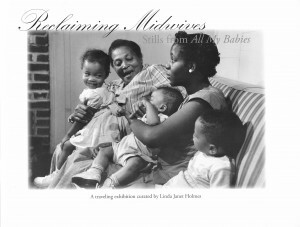 In 2005, Linda curated “Reclaiming Midwives: Stills from All My Babies,” a first-time national exhibition on African American midwives at the Smithsonian Institution Anacostia Museum in Washington, D.C. 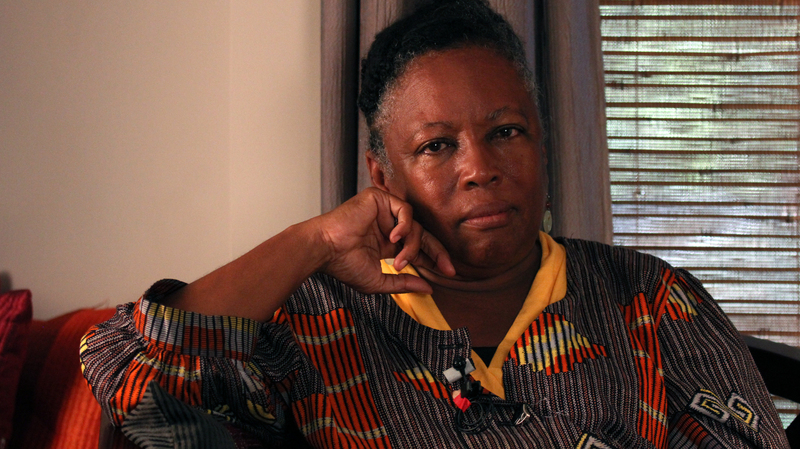 Initially receiving a National Endowment for the Humanities Fellowship to tape record oral histories with African American midwives in Alabama, Linda recently donated her collection of 50 tape-recorded interviews to the Sophia Smith Collection, Women’s History Archives at Smith College. 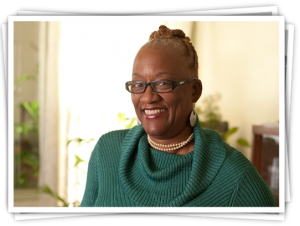 Linda presently lives in Portsmouth Virginia, where she is a part-time supervisor of the Portsmouth Community Library Museum, a landmark institution in the Portsmouth African American community. She is also writing about Uttingertown, Kentucky, an African American community established after the Civil War. Six generations of her family have claimed Uttingertown as home place. Linda, we’ve got to stop. Heidi and I curated over fifty voices in this forum. We can’t invite another person. Hopefully our work on this forum will be viewed as a part of the continuum of your and the work of many others that are committed to keeping Toni Cade Bambara’s legacy alive. She laughed and completely agreed. Poet extraordinaire Sonia Sanchez said that Toni Cade Bambara was “a visionary.” Nobel Laureate Toni Morrison called Toni Cade Bambara, “a writer’s writer.” Toni was most definitely all of that and more. Linda is Toni’s first biographer and she is an incredible storyteller. During our interview, Linda shared so much about Toni’s incredible life. Her reflections, stories and remembrances unearth some of the depth of Toni’s foresight, radicalism, and profundity about a wide range of topics. Linda also shared her own herstory about how she became the radical, bohemian, Black feminist writer, mother, women’s health advocate, cultural worker, and grandmother that she is today. 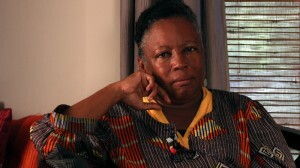 Linda’s interview will underscore why both she and Toni Cade Bambara are feminists The Feminist Wire loves. 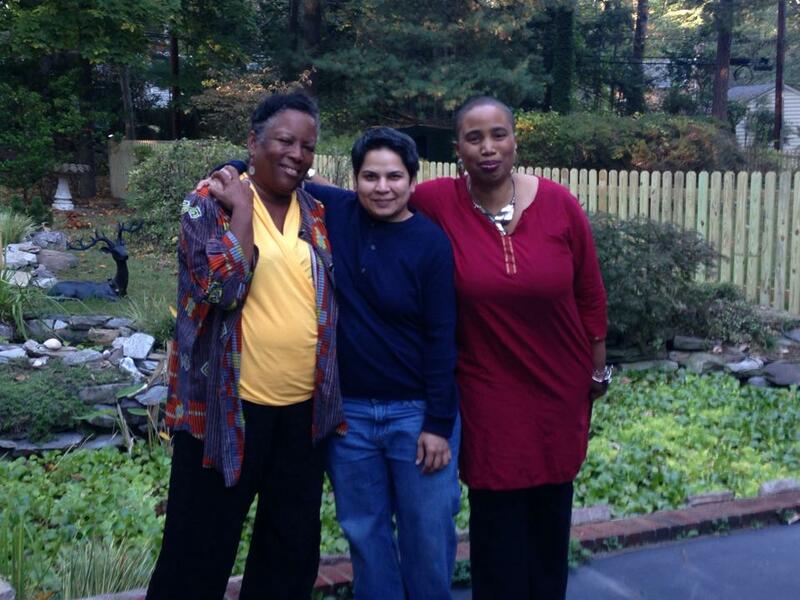 This video interview would not have been possible without Linda’s onscreen participation and willingness to drive to and from Richmond, VA to be interviewed in Sonali Gulati and Geeta Jhaveri’s home. There are no words to express my deep gratitude. 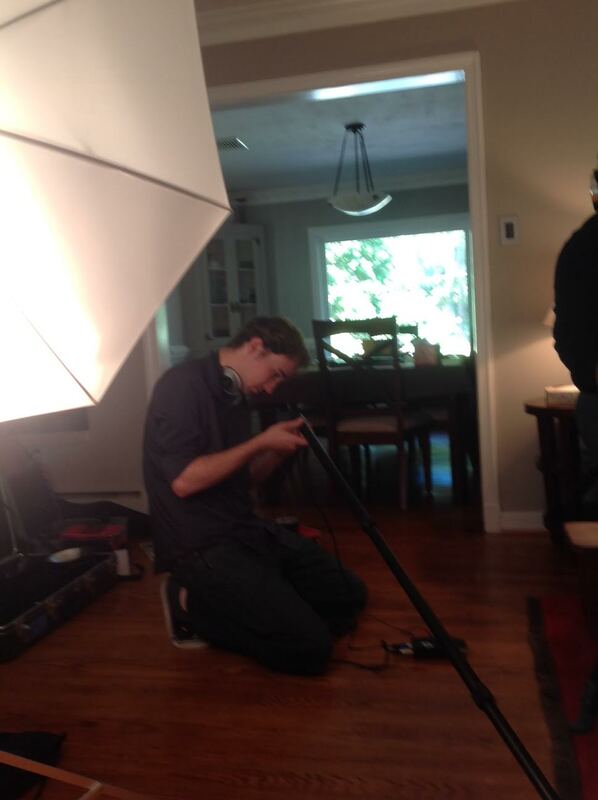 I’m also deeply grateful to my sister-filmmaker Sonali Gulati for joyously agreeing to be the director of photography and for securing Charles Belt to be the sound person. Sonali, Geeta and their son Rohan were extremely kind, loving, and generous with their time and their home. Immeditately following the interview with Linda, they provided an amazing smorgasbord of incredible home cooked food. They also provided exceptional hospitality to me during my weekend visit. It was truly a celebratory occasion in the spirit of Toni Cade Bambara. 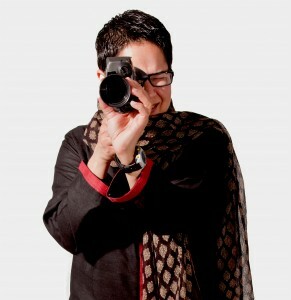 I also extend so much gratitude to sister-filmmaker Tina Morton. Despite her extremely hectic schedule, Tina came in and saved the day with editing this interview in the twelfth hour. The recent passing of my Uncle/Cousin Harold White meant I had to cancel my original plan to travel to Connecticut to edit with sister-filmmaker Roxana Walker-Canton. While I was extremely disappointed that I wasn’t able to work with my sister Roxana, there was a cosmic symmetry with my working with Tina on this specific interview. Tina and I first met in a Bambara scriptwriting workshop at Scribe Video Center over twenty years ago. Linda and Tina also shared Bambara moments together almost two decades ago. All three of us gathered with others a few days after Toni transcended on December 9, 1995. VIVA Toni Cade Bambara’s Legacy, VIVA!!!! Because of time constraints and the ‘holiday,’ this video is a rough cut. Tina and I will finesse it and replace it in the immediate future. 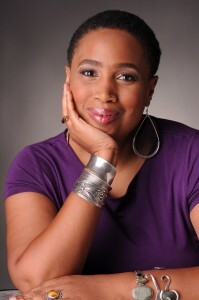 Tina Morton is a media activist, video oral historian, Associate Professor at Howard University, and 2010 Pew Fellowship in The Arts recipient. Deeply committed to facilitating members of community groups in telling their own stories, Tina has taught various organizations how to use media for social activism. In 2010 in Dakar, Senegal she taught young women and men how to use video for social change with the Young Women’s Knowledge and Leadership Institute. Tina’s personal work, done under If The Creek Don’t Rise Productions, focuses on oral community and family histories. Her award-winning documentary Severed Souls chronicles community memory of the execution of Corrine Sykes, a 20-year-old North Philadelphia resident wrongly executed for murder and the first African American woman to be legally executed in PA. Tina has been a video facilitator for the Precious Places Community History Projects sponsored by the Scribe Video Center, and, she has facilitated the making of The Taking of South Central …Philadelphia, a documentary focusing on problems of gentrification. Nature and Neighbors in Harmony documents the history of Philadelphia’s first planned integrated community. For more information, please visit: http://tinamorton.com. Charles Belt will earn a B.F.A in Film from Virginia Commonwealth University’s Department of Photography & Film in May 2015. 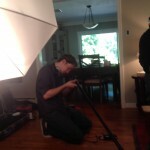 He has written and directed several shorts in the Richmond, Virginia area. 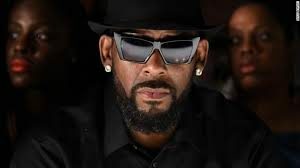 I have watched the interview from last night to this morning and plan to watch it again and again…I sit here watching you both doing what Toni said, “doing the work that is in you.” What brings me chills is Toni’s commitment to community and cultural work. 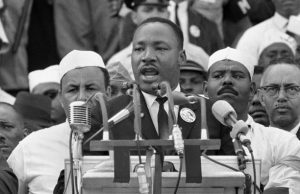 Linda reflects…”There are no great ones, we were all great” showed the core, the realness of Toni–no hierarchies here –it was not you as an individual it was you in a sea of others, the collective, the community. I am inspired by this interview once again. The celebration of Toni Cade Bambara has been powerful and life changing. Thank you Aisha and Heidi for your vision; creating a space for this celebration to take root and Thank you Linda for sharing your experience of Toni with the masses. It is through these personal accounts that we get to know Toni as teacher and friend as she was to you and you to her. I agree and Linda and I often say that our friendship too was a gift from Toni. She continues to connect us from afar. I loved the interview and this celebration. Ashe. Aishah…my reply was autocorrected and left off the “h” in your name. Bravo Aishah for a job well done!!! No worries at all!!! Thank you for making note of it!!! 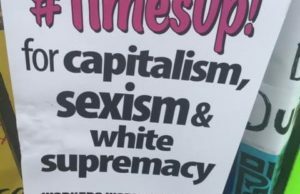 I loved the Linda Holmes “Feminists We Love” interview. It was endearing, informative and inspirational! Also, Much praise for Linda Holmes’s timely “A Joyous Revolt”! Recently Linda gave an excellent presentation on Toni Cade Bambara at the Avery Research Center in Charleston, SC, and, as a result, we have started a book club to (re)read the works of Toni Cade Bambara, beginning with “The Salt Eaters”.